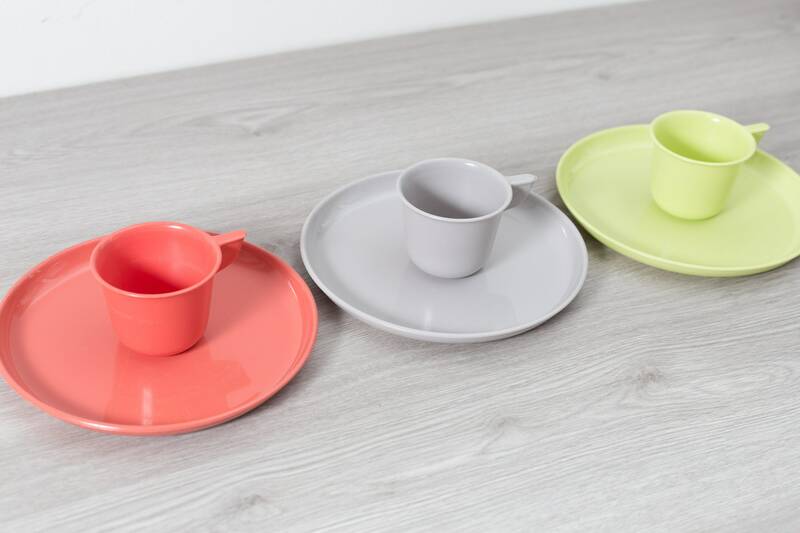 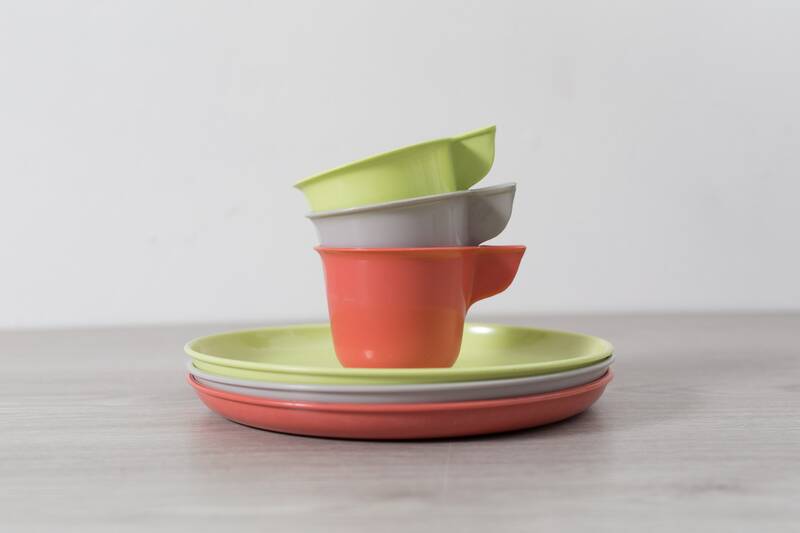 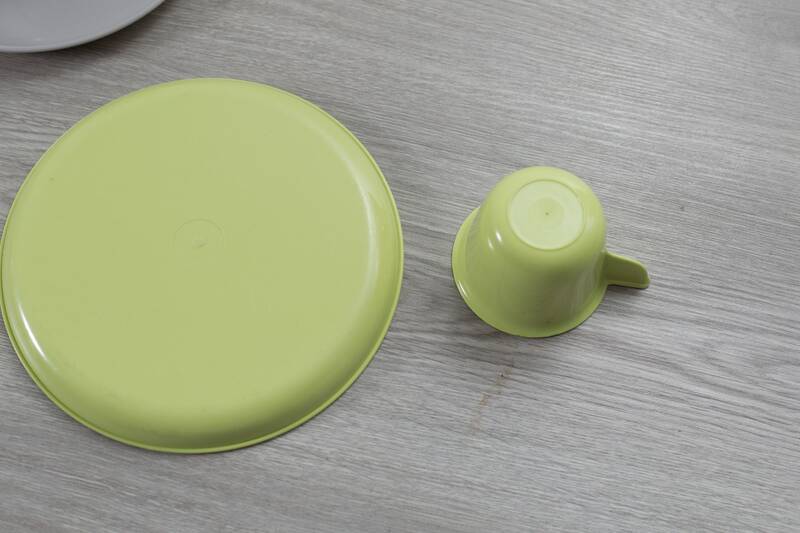 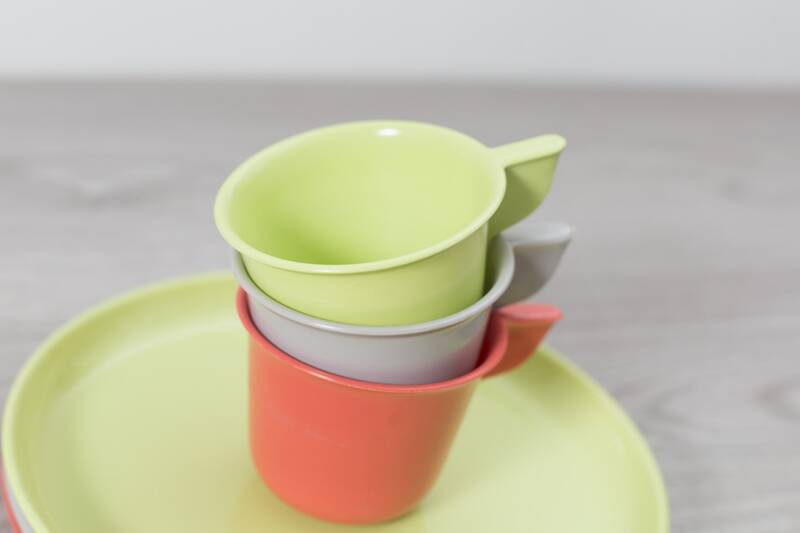 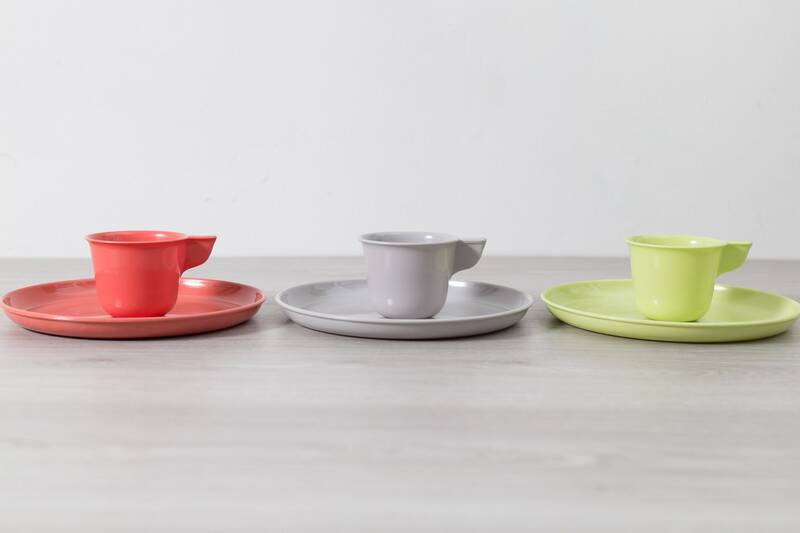 Brighten up your kitchen with this 6-piece set of durable plastic drinking cups and plates. 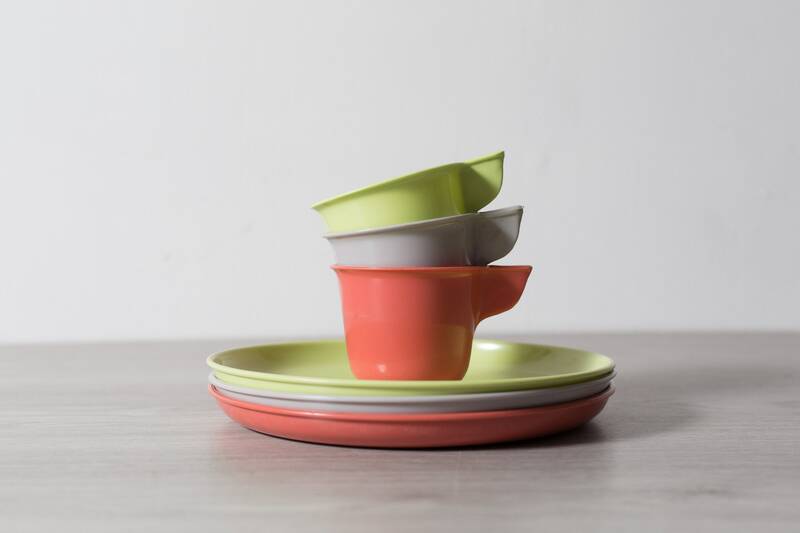 cups – 2.5 inches height. 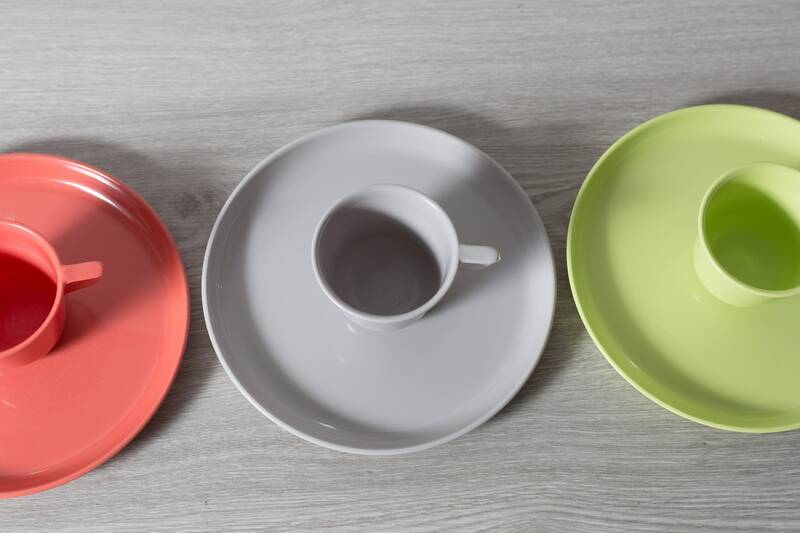 plates – 8 inches diameter.